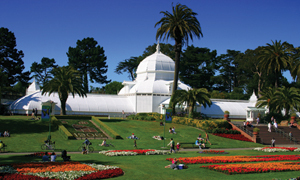 The San Francisco Parks Alliance regrets that we are not able to help with permits and reservations or maintenance issues. If you spot a safety hazard or other problem in a San Francisco park, please call 311 from any telephone in San Francisco. A handy mobile app is also available for download at the Apple App Store or Google Play.